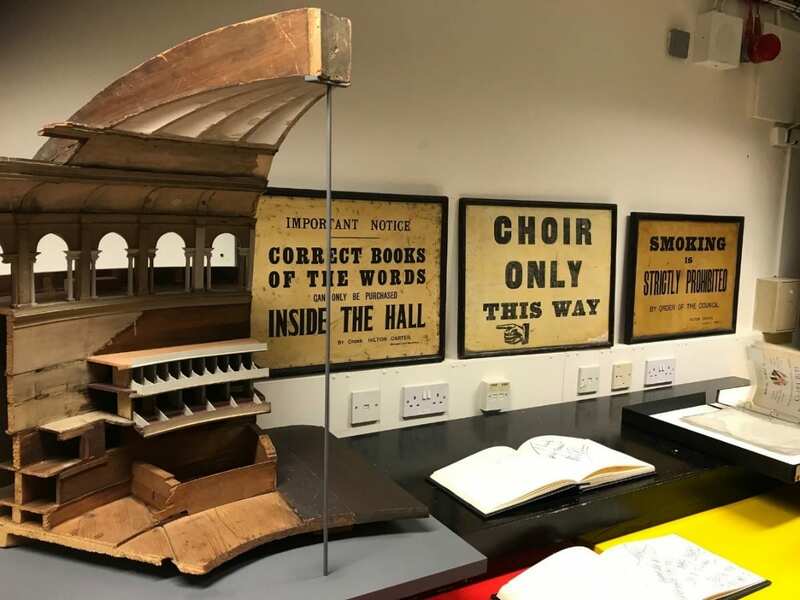 A case containing items newly acquired by the archives at the Royal Albert Hall. The tour was rather exciting and took us into one of the boxes (one of several points where we got to witness the rehearsals for that evening’s Youth proms concert), the Queen’s retiring room (though we weren’t allowed to see her toilet), the various levels of the Hall and one of the store rooms used by the Archive (excitingly, a massive underground extension is currently being built which will create modern and fit-for-purpose storage). 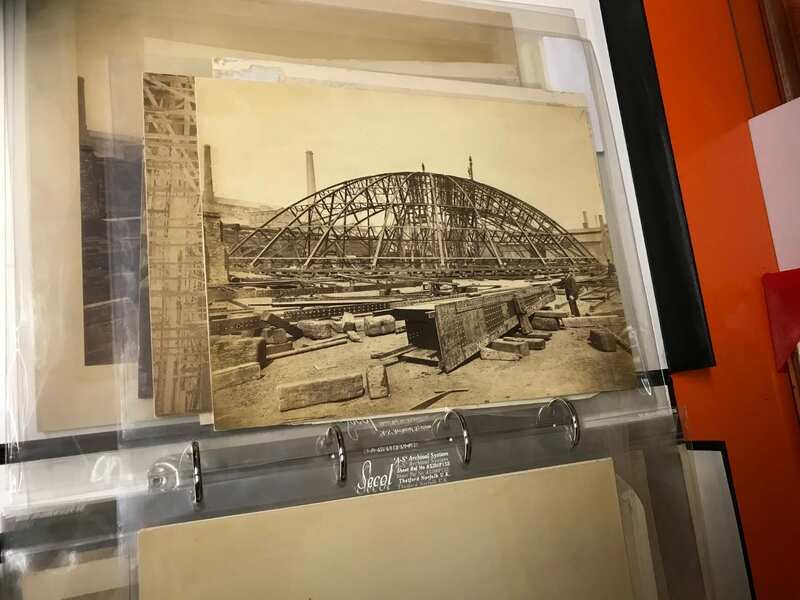 The Archive itself is only seven years old (the hall itself is nearly 150) and was established while deciding what to do with all the stuff they had lying about. 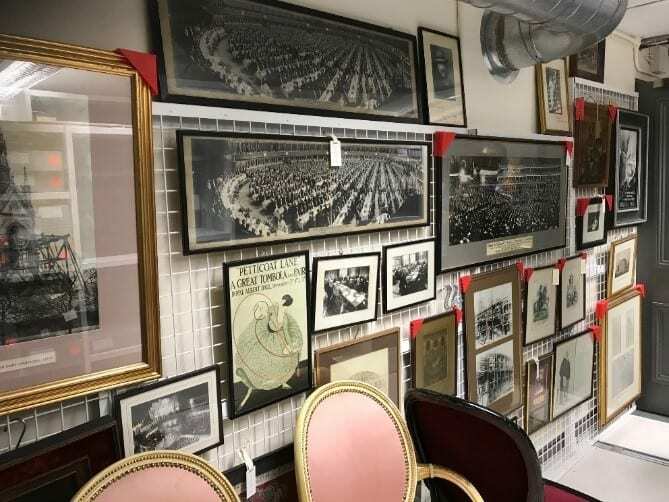 The real interest of the Hall’s management were two store rooms that they wanted to turn into money generating venues. However, the initial assessment by an external consultant proved that those random objects were far too valuable to be disposed of. 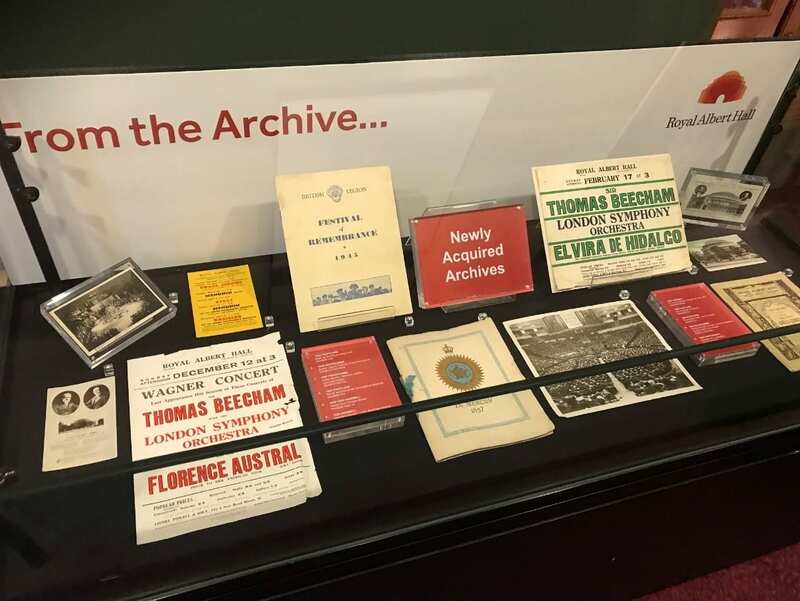 Since formation, the archives they have given an order to the collection as well as cataloguing and making it available online. Part of this is an amazing performance database, giving details of all the concerts and events it has staged. Many involve one Arthur Conan Doyle, including a Body Building contest he judged and several séances (including one that sought to reach him after his death). We learned interesting facts along the way too – for example, to raise money to build the hall in the first place, 1300 seats were sold to private owners on 999 year leases. These seats are still owned by about 300 people (the 20 bought by Queen Victoria are owned by the current Royal Family) who are able to attend the majority of concerts but have to say if they are not intending to fill their seat so that it can be sold to a member of the public. 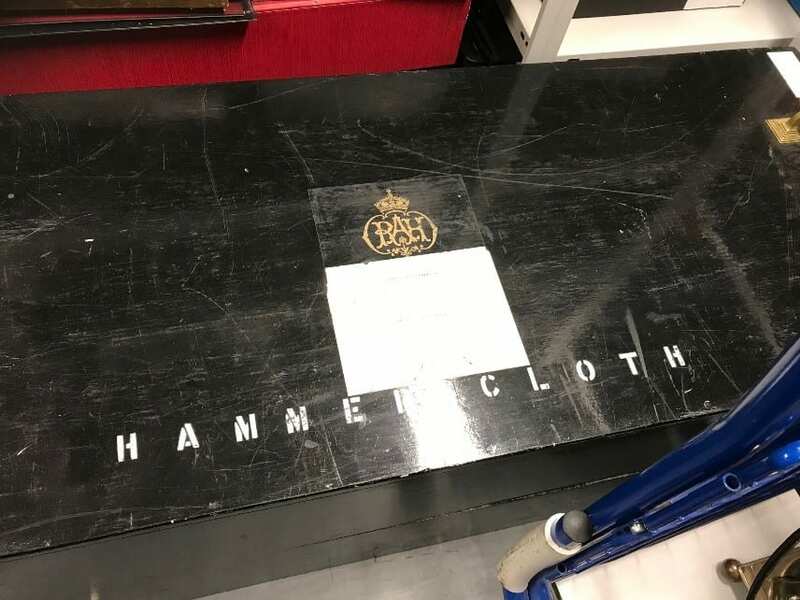 Every time when the Queen is present, the Archives Team is responsible for hanging the hammercloth from the balcony of the Royal Box. This is an embroidered velvet curtain with the Royal Coat of Arms and the initials of the reigning monarch, which was made (and is amended for each new monarch) by the Royal School of Needlework. Additionally, the foundation stone can still be seen under the seats in the stalls (K), Rimmel pumped his perfume through the hall during its opening ceremony and the Gallery on Level 5 used to be a real gallery with artwork displayed on wooden slates, with a smoking area outside on the balcony. 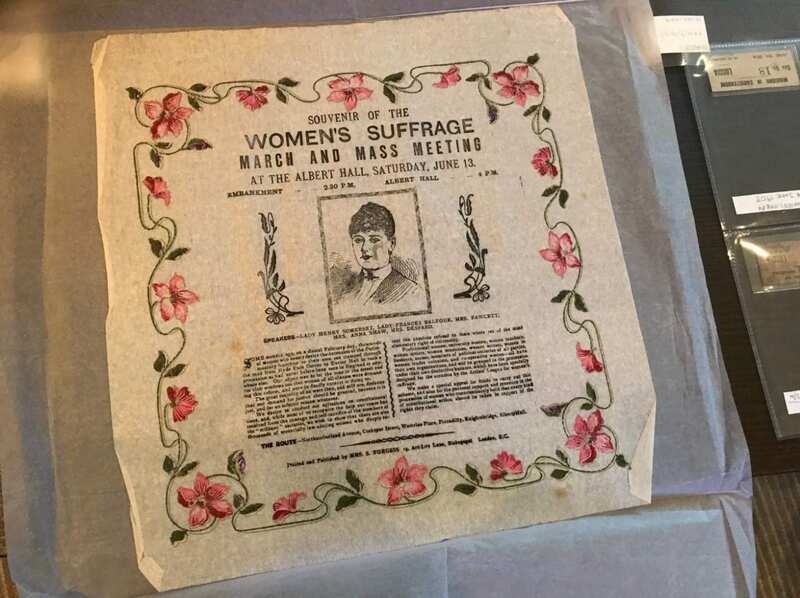 We also learned about the Royal Albert Hall’s involvement in the campaign for Women’s votes. Political meetings were a common occurrence at the hall (it was the biggest space in Great Britain) in the early twentieth century and both sides of the campaign held rallies at the hall, which proved to be a great place for the Suffragettes to raise donations. 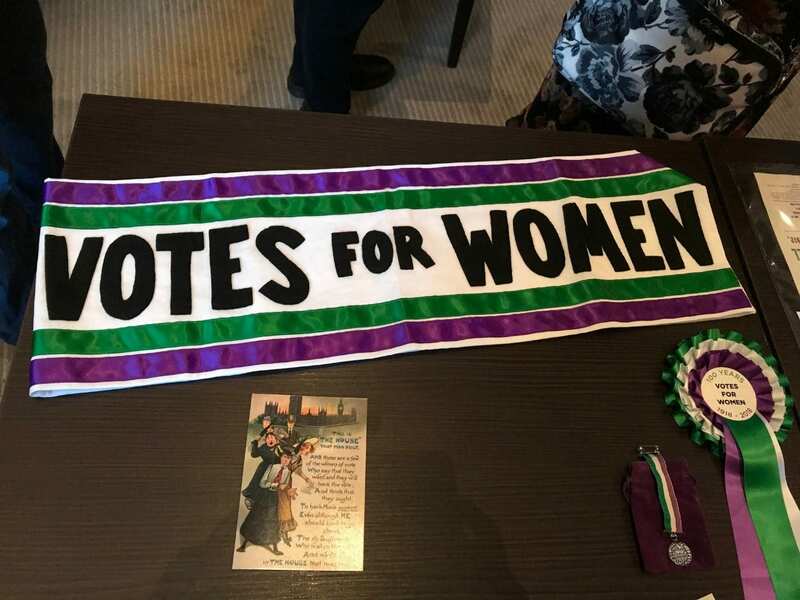 As well as their own rallies, Suffragettes would disrupt Liberal Party meetings, leading to the incident of the Suffragette and the Whip and to disguising themselves as men to gain entrance after women were banned from the meetings. At their own rallies, the Suffragettes gave medals to members who had served time, while the Suffragists led huge processions of women of all trades to the hall. 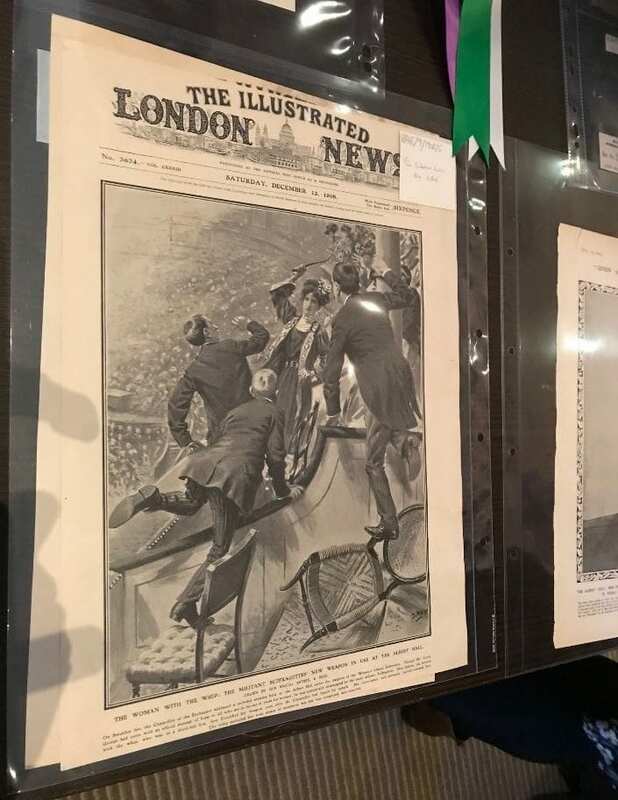 Ultimately, as they became more militant, the WSPU became the first political party to be banned from the Royal Albert Hall in 1913, but were able to return in 1918 to celebrate the granting of the vote to some women. There’s a lot more to this story, and this video is a great way to discover it. Words by James and Justyna, Picture by Justyna.